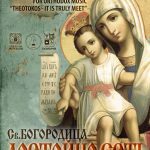 Participation in the International Festival of Orthodox Music “Virgin Mary – It is Truly Meet”- town of Pomorie is possible for Bulgarian and foreign choirs, chamber ensembles (professional or amateur casts), children’s choirs, cleric singers and priests. All performances of the festival program will be presented in front of an audience in the “Nativity of Virgin Mary” church at the town of Pomorie. 1. Orthodox church choirs – they regularly take part in orthodox worships and their members are not more than 36 singers. 2. Eastern singing – cleric singers and / or priests, and chamber ensembles may participate. 3. Mixed and homogeneous choirs or vocal ensembles – they are not permanently engaged in the worships and they include no more than 36 performers. 1. For all categories the program must be composed of orthodox chants included in the worships (excluding spiritual songs). 2. One of the chants must be ” It is Truly Meet”. 3. At least one of the chants must be by an author from the country that is a participant in the festival. – authors from different countries shall be included in the program. 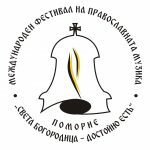 – a chant of Dobri Hristov shall be included in honour of the 140th anniversary of the birth of the composer. 5. The entire program shall not continue less than 15 minutes and not more than 20 minutes, and the duration of any work shall be noted in the program. 6. The program of the individual performers in the category 2 – Eastern singing – shall be within 10-15 minutes. 7. All participants must present their program in a liturgical language; new language translations and accompaniment are not allowed. 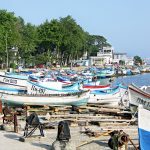 – to take part in festive worships at Pomorie, Burgas and Nessebar. – to take part with a free program /secular, folklore, spiritual songs, and etc. / on the outdoor scene at the town of Pomorie. Pomorie Municipality, Address: 8200 Pomorie, 5 Solna Str. – Each cast must send a completed application form of participation until March 1, (Sunday), 2015. Choirs containing up to 12 participants must send a participation fee of 100 levs (50 euro) per cast, choirs containing from 13 to 20 participants – 150 levs (75 euro) per cast, and choirs containing from 21 to 36 participants – 200 levs (100 euro) per cast until April 23, (Thursday), 2015. Individual participants in the category 2 – Eastern singing – if they are priests, there is no charge. All the other applicants must pay 20 levs (10 euro) per person. – recently made recording /audio or video/, including at least three orthodox chants in the following format: mp3, mp4, wma, wav, avi, mpeg. – a list of the participants, including full name, date of birth and gender. – All expenses are borne by the participants. – Internal transport, related to the performance of the festival program, will be borne by the organizers. 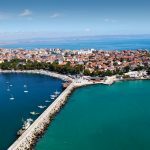 – For all choirs the transportation costs to and from the town of Pomorie are borne by the participants. – The participation fee includes documentary recordings containing the performances of the casts in the festival program, which will be sent to all choirs. Members of the Festival secretariat will make a selection of the choirs on the basis of the documents submitted. Casts will be informed of the decision of the Commission not later than March 25, 2015. Organizers have all rights on the performances during the festival, advertising activity, broadcasting of concerts by various media, issuing of audio or video discs and other materials and their circulation in Bulgaria and abroad, without any obligations to the participating casts. Festival organizers are responsible for the entire conduct of the festival and concert program.